Are you looking for free better email services for your domain? 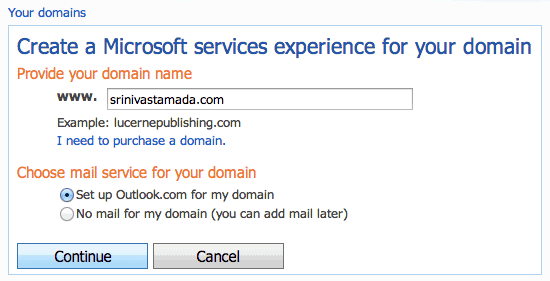 I suggest Outlook.com is the best option to setup your custom domain email service. This provides 50 member accounts free with all Outlook features like communicator, file storage etc. 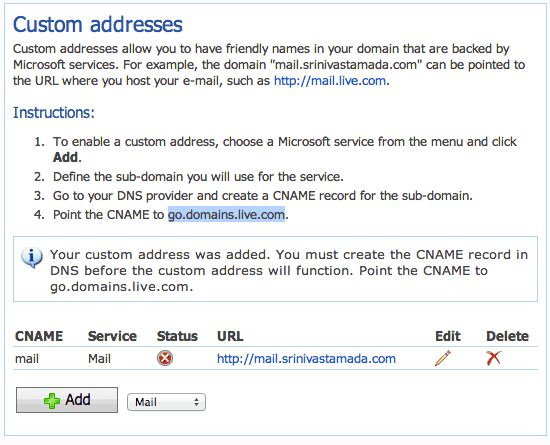 take a look this post follow the steps and setup your free Outlook account for your domain. Go to Live Domains here click add domain button. Open a new tab login into you domain provider site like Godaddy, Bigrock etc, Go to the domain DNS settings and add mail MX points to Hotmail server. You have add MX records in following way and save the DNS settings. You have add TXT records in following way and save the DNS settings. Messager Configuration details, you will find this in Domain Settings page. Enter SRV details and save the DNS settings. Now click refresh button on page top. Once your DNS setting are ready, it shows Active status. You can choose your custom URL here. 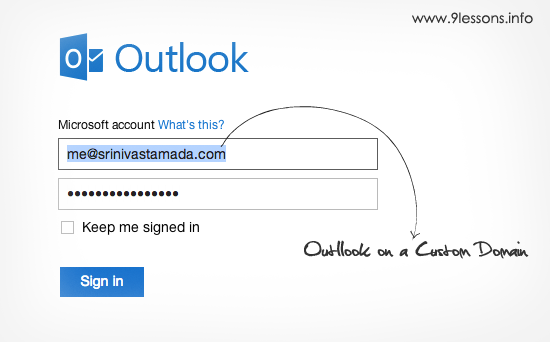 Custom domain Outlook login page. 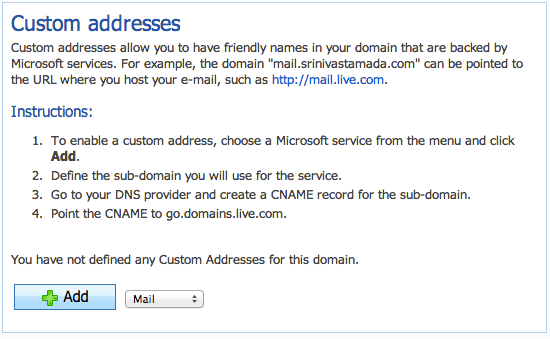 Theoretically this is live.com for domains, like how it was google apps for domains. Hey, I have one questions. This mailbox is imap or pop3 only? good news for Microsoft lovers..
What a great. After closing google apps. 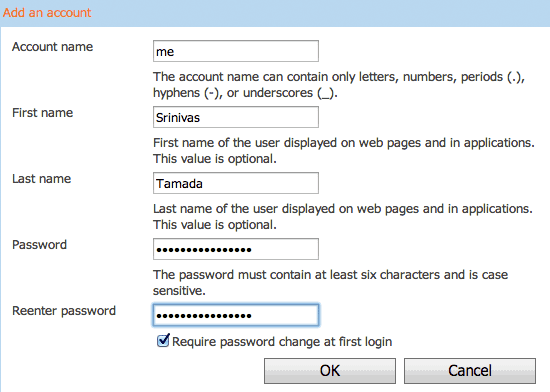 Thanks srinu, I will apply for my domain too .. 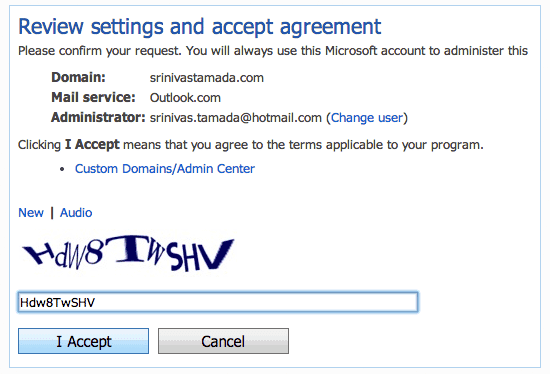 I have added MX, TXT, SRV records in DNS manager. But don't know why service is not activating when i am refreshing this. Good information.. expecting a tutorial on domain and sub domain configuration too. i cannot complete cname part. is there anyone can help me? in CPANEL, it'll need 24 hours after you finished setup MX (Step 4) until you can click Refresh Button (Step 10-11) then your service will active. note: Step 9 are not mandatory for activation. I am regular reader of your site. I am trying to configure my upcoming site to link with livemail. It's working fine for out going mails. when i send a mail to my custom domain it will be failed. I have followed all above steps till i am getting this error. Please Help Me if I something missed. I have followed this guide and got my email ID. But the problem is, I am not able to get mails from my WordPress blog (Contact page) when all emails are coming at the same email ID that has been sent from gmail.com or outlook.com or anywhere else. Can you please tell me what the problem is? I like so much for your post. Great instructions but don't forget to delete the smtp.secureserver.net line in the MX field - this step was not mentioned. At step 15 you have probably written by mistake "CNAME points to Google server"
Hey dude, thanks for the tutorial. I created an account to my domain and change the MX and create a TXT file but when I click in refresh button on live domains nothing happens. How much time this need to validate my MX address? Anyone can help me with this? This may be useful, as an update to the above article, Outlook recently announced that they will no longer be supporting the free custom domain email feature. As an alternative, you can read my step by step guide to creating your own email domain for personal, business, or corporate use at OwnEmailDomain dot net. Cheers. What if someone changes their hosting provider. 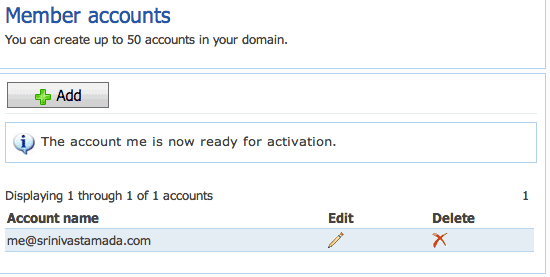 For an example, I switch from Hostgator to another hosting service. 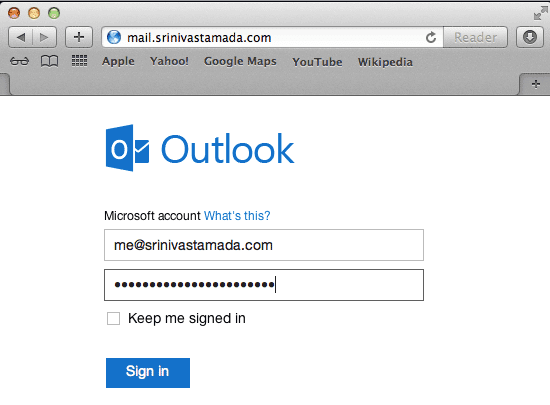 Will the mails remain in outlook.com? I heard that mails are lost if you change your hosting.